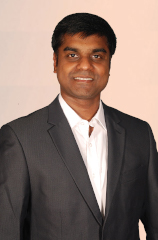 Sanjay has overall responsibility for the technical management of the tank calibration and inspection division. Sanjay holds a graduate degree in civil engineering, and has over nine years of experience in tank inspection within the oil and gas industry in the Middle East, India and South East Asia. With extensive experience in API, ISO, BSI and LM standards, for both the onshore and offshore sectors, Sanjay ensures the timely and precise execution of all our tank inspection and calibration projects. 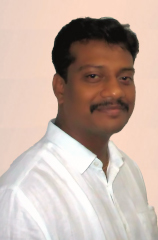 With over 23 years in the oil and gas, marine, fabrication and welding industries, Naveen brings a wealth of experience and practical know-how to the NDT department, ensuring the quality control of all conventional and advanced inspection projects, and the in-house training and certification of personnel. 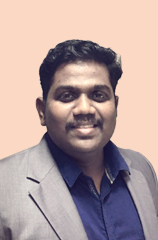 Naveen holds a diploma in mechanical engineering specialising in welding technology, has been a certified ASNT NDT level-III for over 20 years, is certified as an IRCA lead auditor in quality management systems, and IASSC certified six sigma yellow belt. As the group’s NDT Manager, Naveen provides the necessary technical leadership in quality assurance and control, and supports our business development, sales and marketing initiatives, when developing technical solutions for our clients. 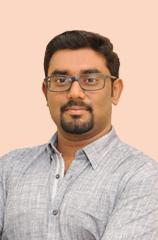 Riyaz has a bachelor’s degree in computer science and is responsible for the overall management, integrity and ongoing refinement of the Company’s IT systems and processes. 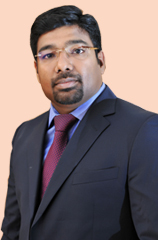 With more than 18 years of experience in the IT industry in various project and development management roles, specialising in information security, governance and application management, Riyaz’s experience ensures that the group’s technology systems are designed in accordance with current best practice along with Global Remote’s own defined vision and strategy. Naresh is an accomplished result-driven professional with over 10 years’ experience in a range of quality and HSE management roles in the Middle East, India and South East Asia. Naresh brings a wealth of knowledge and practical know-how to executing an effective and responsive HSE culture within the Global Remote group. 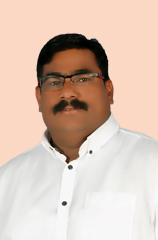 With a bachelor’s degree in chemical engineering, a diploma in industrial safety (RLI), NEEBOSH diploma and general certificate, OSHA (USA) General Industry Safety Standards, OSHA (USA) Construction Safety Standards, and Certified Lead Auditor for OHSAS 18001: 2007, Naresh’s qualifications, experience and proactive approach ensures the integrity of the QHSE system. Minu holds a bachelor’s degree in science and a post graduate certificate in commerce and law. 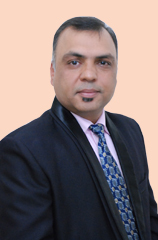 He has over 10 year’s managerial experience in administration and human resources working with a range of companies specialising in oil and gas and construction in India and the Middle East. This experience enables him to successfully manage and maximise upon Global Remote’s human resources in a demanding and ever growing market. Naresh plays a key role in the day-to-day operations as the Operations and Rope Access Manager in Bahrain. He is certified as a Project Management Professional (PMP), with a master’s degree in business administration and a diploma in petroleum engineering, and is certified in IRATA, ASNT, and DROPS. With over 14 years experience in various project and operations management positions, across the energy and rope access industries, Naresh ensures the compliant and timely execution of our clients’ projects adhering to our strict quality and HSE systems and protocols. 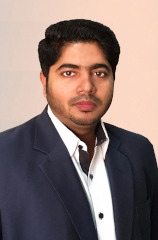 Mahesh plays a key role in the day-to-day running of the NDT department in Bahrain. 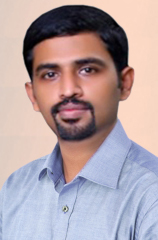 With over 17 years’ experience in various NDT and Heat Treatment projects, and 7 years’ managerial experience in the Middle East, Mahesh brings a wealth of experience and practical know-how to the department. His commitment ensures timely execution of our client’s projects and adherence to our strict Quality and HSE systems and protocols. 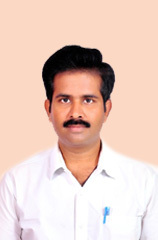 With over 15 years exclusive experience in the upstream oil and gas industry, a bachelor’s degree in mechanical engineering, and a masters of business administration, Satish is a seasoned professional with extensive international experience with a range of multi-national companies within the energy sector. Satish has specialised in a number of management roles during his career including supply chain, logistics, and project management, commercial and contract management, and audit compliance. As DGM Commercial at Global Remote, Satish has overall responsibility for ensuring commercial efficiencies, and building upon our collaborative and productive customer relationships. As head of the training department, Radha is responsible for overseeing the department’s technical API and NDT syllabus, the IRATA and Work and Rescue at Height programmes and the ongoing development of future courses. 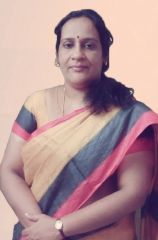 With a post graduate degree in commerce and over 20 years experience in administration, HR and training management, in a range of companies specialising in manufacturing, procurement and construction within India, Radha is perfectly placed to further develop the training strategy for the Global Remote group. With a diploma in mechanical engineering, certificates in ASNT and IRATA level-III, and seven years working within the rope access industry, Yugesh has varied experience in a range of onshore and offshore project execution and site management roles, including IRATA training. As the RAM/TA and senior trainer for Global Remote this dynamic manager handles the day-to-day management of our Indian operations, ensures the ongoing compliance of our HSE and Quality systems and the timely execution of deliverables to our clients. 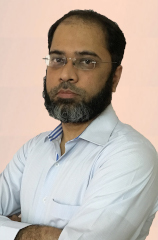 Shabir brings a wealth of experience and practical know-how to the operations department in Qatar, from over nine years experience in the Middle East spent in a range of positions in the oil and gas, steel fabrication, and construction industries. 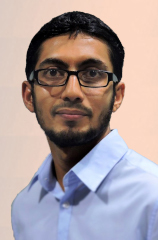 With a bachelors degree in mechanical engineering, a diploma in industrial safely, and certificates in NEBOSH, IOSH, and IRCA lead auditor (ISO 9001, OHSAS 18001), Shabir’s eye for detail and proactive approach ensures the business delivers high quality outcomes for our clients in Qatar. Qualified with a masters degree in business administration and marketing management, Thomson has eight years technical and managerial experience with a number of multi-national companies in the oil and gas, marine, facilities management and civil sectors in the UAE, UK, India and Qatar. As a specialist in rope access administration and client management, Thomson ensures that the development, delivery, and evaluation of all our operational activities are achieved with uncompromising quality. With a bachelor’s degree in mechanical engineering, and eight years experience in India and the Middle East with the Global Remote group, Albin brings a wealth of professional administrative experience to the operations department in the UAE. Albin’s committed and composed approach to the demands of the company’s operations in the civil, marine and oil and gas sectors ensures the ongoing compliance of our HSE and quality systems and the timely execution and delivery to our clients.